IF there is one matter the police in Delta State handled with creditable nimbleness in the last few weeks, it was the fishing out of the Yahoo boys (internet fraudsters/ritualists) who allegedly decapitated a 300-level mass communication student of Delta State University, Abraka (DELSU), Elozino Joshualia Ogege. However, notwithstanding the taking in, for questioning, of four alleged gangsters, suspected ritualists are still on the loose in the state, striking, last Wednesday, in Asaba, the state capital, and one more time, last Thursday, in Oghara, the country home of former Governor James Ibori, which seems to be the major operational target of the prowling executors. 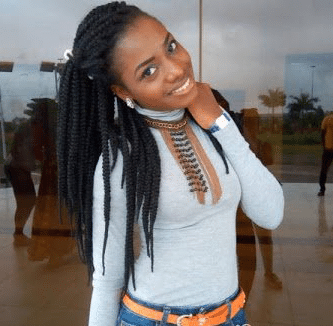 Some Yahoo boys had abducted Elozino, whose death has brought their subversive activities into razor-sharp focus, November 15, and killed her three days after. While the police had three suspects in custody about 72 hours after, the alleged mastermind, a Ghanaian-based internet fraudster, slumped and died. The suspects were said to have collaborated with some private security guards engaged by DELSU and kidnapped Elozino right inside the campus. This is what makes her case sad as friends said she was not the wayward type. One of the security guards, a suspected Yahoo boy and ritualist, arrested by the police, said, “I was posted by my security supervisor (also in police custody) deliberately to arrange the abduction of female students for Yahoo boys.” A source said Elozino, 22, looking for accommodation in the school’s lodging facility, was contacted on phone by the security guard and that was the last time those who knew her on campus saw her last. Concerned about the rising cases of Yahoo boys and ritualists in the state, Governor Ifeanyi Okowa, on November 26, gave the police marching orders to crackdown on gangsters. Disclosing that the arrest of the suspects was a combination of efforts of different units of the command, he said, “The initial credit goes to the Abraka Division, which even, prior to the information getting to the Command Headquarters, Asaba, had been on the matter and the Anti-Kidnapping Task Squad then intervened and did the rest of the job. “The Elozino matter did not come to the police as death of somebody, it came as a case of missing person. The mother of the deceased reported she was missing and, quite unlike her, had not made contact; so she smelt foul play. “That is what set the Abraka Division in search of her. The police got their breakthrough in the case with the tracking of her phone to a security guard through our tracking device. As you would expect, he (security guard) was in denial of how the phone got to him and we sought to see the person he said sold the phone to him. “We got the second suspect through a search and it was denial all through, but we knew that hardened criminals do not easily own up. They will never own up until you get incontrovertible facts and do proper interrogation. “Immediately information got to the Commissioner, Muhammad Mustafa, he ordered the transfer of the case to the Anti-Kidnapping Unit and it was when the two suspects got to Asaba that they started confessing”. Aniamaka went on, “First, we found that it was not just about them. There was a mastermind, somebody known to be a fraudster, and he had just come back from Ghana where he was said to have been engaged in internet fraud. We made efforts to pick him, it was not easy, but the good thing in our favour was the promptness, speed with which we worked. “Between that Thursday and Saturday, we had most of the (alleged) perpetrators of the crime. Yes, one of them slumped, in fact, the mastermind, knowing that we had him slumped and gave up the ghost. “The second (suspected) fraudster confessed that this was not his first time as he had been involved in four previous cases. He identified a 62-year-old herbalist as the person they took the body parts to, and, when we got to him through our undercover network, he was in denial. Immediately we got information on where his home is located, we laid ambush, watched the stream of people coming in and out of his home in Warri. “Detectives bid their time, acted as if they were potential customers in targeting him until they were certain they were not going to lose him. Ab initio, he said he did not know them, but later he owned up that they had once brought human parts to him, which he destroyed. “By the time we got to Asaba, he admitted that it was only once he got human parts from them, which he threw away. Even the alleged mastermind, who slumped and died, confirmed in the presence of the herbalist that they took body parts to him to do ritual for them. From kidnapping to gruesome murder. “The suspected mastermind owned two buildings in Abraka. The gang actually established contact with the family of Elozino and that is what made the police to have the impression, at first, that the mission was abduction. However, right now, it is a case of gruesome murder. “From their confessions, they had done their escapades earlier in Oghara. We arrested five of them, even the small girl, but we are not holding it against her because we see her as a victim used by the mastermind. The little girl is his sister making it six”. According to the PPRO, the alleged mastermind used the minor in the telephone conversation with the parents of Elozino, probably to assure the parents that all was well. “We did not get Eloziono’s remains until the early hours of last Sunday at the outskirts of Abraka, right there in one of the farms, a hidden spot that had a tree. 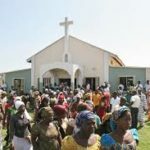 “The anti-kidnapping team, joined by the Special Armed Robbery Squad, SARS, and others, got to where they buried her, and what was evident after the remains were exhumed was that it was not something that happened overnight. “It took some time before the police saw the manner they plucked her eyes and, while questioning the suspects, we got other harrowing tales. Even policemen were horrified at man’s inhumanity to man”. The second suspected fraudster, Desmond, who identified the herbalist, said he was the one they took human parts to, to make charms for them so that “when we speak to white men on phone, they will do anything we ask them to do.” The herbalist, Robinson, “I am a farmer, I am not into rituals.” He denied preparing charms for the suspected Yahoo boys, but said one time that they brought something like human parts to him, he threw them away. 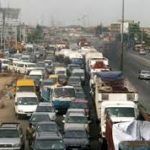 The next day, Thursday, at Oghara, suspected killers butchered a 12-year-old at Scott Road, close to Okwemeva Junction in Ogharaefe. She was said to have screamed for help like Elozino, but residents in the area were afraid to come out. Her head was hacked off her body. A villager, Julie, said, “The incident happened at about 5.00 am, few poles away from the Council Secretariat. Only God knows where she was coming from, but people said they heard her shouting, that they should open door for her, that some persons were after her until she went quiet. When we woke, we saw this” (pointing to the corpse). University tightens security. Meanwhile, the authorities of DELSU, in partnership with the police, local vigilante and the Nigerian Security and Civil Defence Corps, NSCDC, have embarked on moves to flush out anyone involved in internet fraud, popularly referred to as Yahoo Yahoo, from the school. The university, in a statement signed by the Public Relations Officer, Freeborn Aganbi, stated, “Management has banned the entry of exotic cars with tinted glasses, popularly used be Yahoo boys, into all campuses of the university, prohibited the entrance of non-staff and non students into the campuses after 6.00pm and restricted students to their hostels after 7.00pm. “So far, these strategies have greatly reduced the presence of suspected Yahoo boys and their related activities in Abraka town. To this end, DELSU management is calling on students to be security conscious and to refrain from all activities and relationships that could jeopardize their safety”.